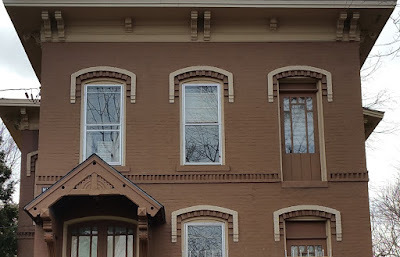 Three years ago I wrote a post about Italianate houses on the Eastside. As I noted then, there is only a small number since the area was sparsely inhabited during the third quarter of the 19th century when the style was most prevalent. 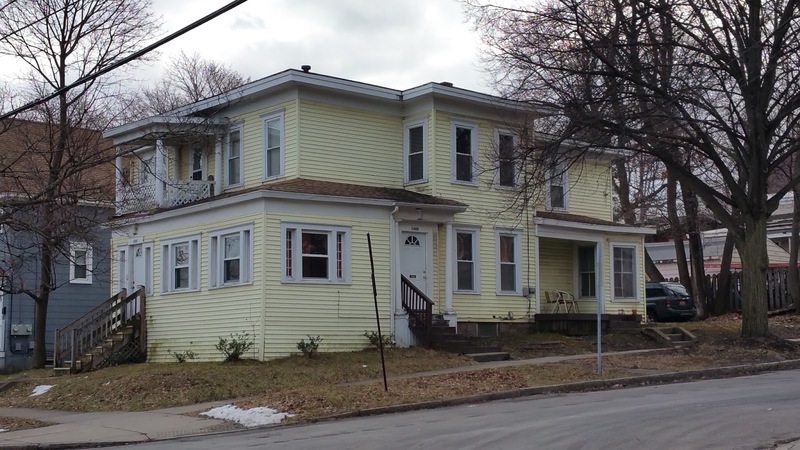 Those Italianate houses that do stand were mostly farm houses along the major routes in the district, especially East Genesee Street and South Beech Street. I am now researching a large part of the Eastside for the Greater Westcott National Register Historic Site nomination and I've some across a few more examples of the style - though I still know nothing about the history of these houses. Most surprising is the group of Italianate houses in the 1300 and 1400 blocks of Madison Street, which is one of the oldest settled stretches in the area. The 1892 map of the city shows that Madison, Cherry, Bassett, and nearby streets were already fully developed with houses at the time. 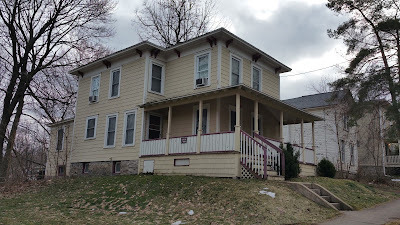 In 2016 I wrote about the demolition of two Italianate houses on the 1000 block of Madison Street. The most impressive of these houses is a handsome and beautifully maintained brick structure at 1326 Madison Street. Especially attractive is the saw-tooth detailing on the belt course and the raised brick patterns on the window arches. There are also two large and attractive wood frame Italianate houses in the 1400 block of Madison Street. One of these, #1400-1402 on the corner of Cherry Street is now for sale. This sprawling structure with a good north view has long been a favorite of mine and now that it is for sale perhaps I'll get a look inside. It is listed as belonging to C. L. Hovey on the 1892 map of the area. Though the house has been re-sided and altered in other ways, its 19th-century form remains true. 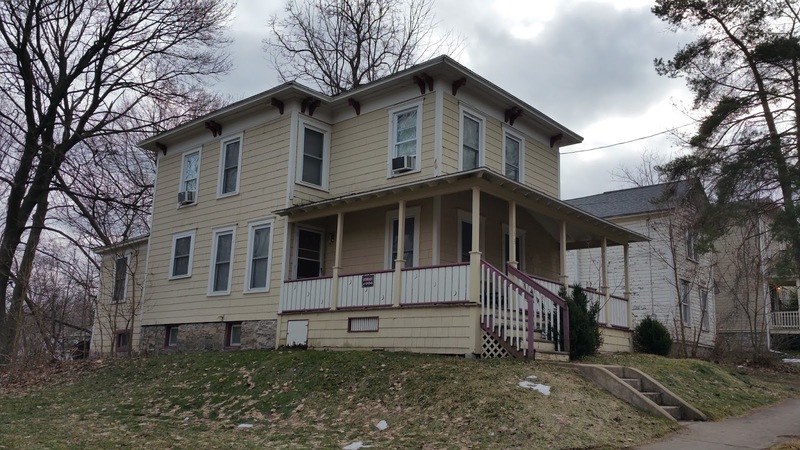 Both houses on the 1400 block have been added to, in the typical fashion of Italianate houses where extensions are added to the main cubic block. Sometimes these may be contemporary with the main structure and may have contained kitchen, storage and other utilitarian functions. It seems that the original blocks of both these house were not exact cubes, but were more T-shape in plan, allowing rear side rooms to get some north light. these houses probably date from the 1870s or early 1880s. 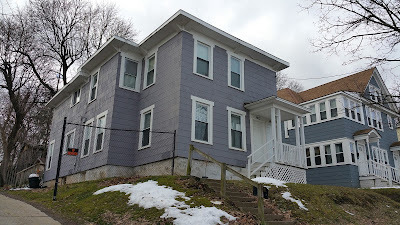 There are also a similarly-dated house on Bassett Street, an irregular street into which Madison ends, and which pushes up the steep hill from the former Erie Canal until it turns and intersects with South Beech Street. The Italianate house at number 133 has a wrap-around porch which appears to be original. 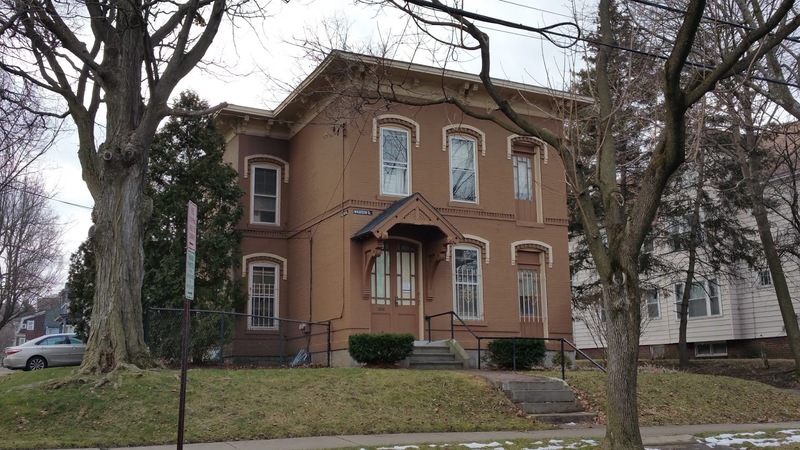 In the previous post, I mentioned one small Italianate house at 726 South Beech Street. There is another at #615. This is a simple two-story wood frame block with a ground floor projecting polygonal bay (probably the dining room). There is a later Colonial style (ca. 1900?) full-width ground floor front porch with an off center entrance beneath a small pediment. This once would have been decorated with a relief decoration. 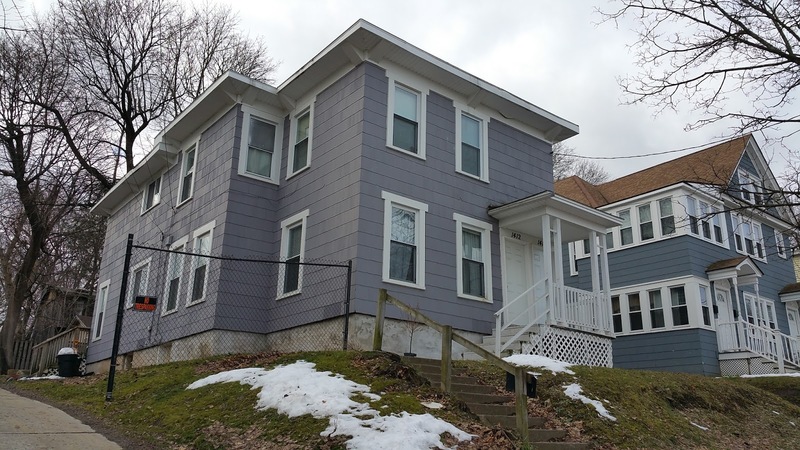 The house is now covered with vinyl siding, but because of its prominent siting it still holds its own.